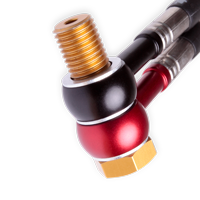 The probrake steel braided hoses give your car the best possible brake feedback and handling. You will be blown away by the exact pressure point and you will make your ride safer! 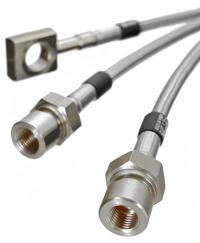 probrake makes your steel braided hoses with brass or stainless steel fittings. These have a significantly higher tensile strength and they don't oxidize. The hoses are very resistant and are perfectly suited for motorsports and racetrack use as well as OEM. We also make steel braided brake lines for oldtimers with vintage style look. Our brake hoses comply with the US FMVSS 106 and DOT. Didn't find what you are were looking for? Request an offer. We can produce hoses to your specifications or to your sample. Just send us the brake lines you want to be copied.